I’m watching my cat Tibby investigate a cardboard carton, a remnant from the holidays that has yet to find its way to the recycle bin. The flaps have been closed to overlap one another, but the box has yet to be invented that Tibby can’t breach. After testing the interlocking flaps with his paws for some kind of “give,” and finding little, he simply dives into the center, head first. The carton tumbles sideways and up pops Tibby with the box on his head. He stumbles around for several moments until I rescue him, concerned this stunt might break his neck. Freed from his folly, he slinks off amid our laughter, clearly embarrassed. Cats are easily embarrassed. Missing a routine jump to the countertop or rolling over on the bed and … tumbling off, they lower their head and pad quietly to another room. You didn’t see that, right? They’re also capable of great joy—my other cat, Coosh, writhes in ecstasy on the patio pavers in warm weather and relishes the midnight-hour snuggle on the bed when I turn on Mozart and take up a book to read. Of course, he gets annoyed, too, and is not slow to show his displeasure, once peeing all over a box of albums while giving me the angry eye for not sharing my pizza. Until very recently, biologists believed animals to be creatures of instinct only, but that view is undergoing a radical shift as evidence of both emotions and smarts piles up in study after study. Biologists are discovering what pet owners, livestock farmers, racehorse trainers, and veterinarians have always known: Animals are complex creatures who deserve our respect. All we can ask is: What took you so long to catch on? It seems the height of hubris to imagine that humans alone experience joy, fear, love, anger, distress. Even fish, long thought to be devoid of just about everything but the ability to swim, experience conscious pain. Turns out they have complex nervous systems with pain receptors that fire off soothing endorphins when they are injured—just like human and non-human mammals do. That all animals experience pain should not be surprising. Pain is an evolutionary survival mechanism. While not feeling pain would be a definite plus if you tumbled over a cliff to be dashed on the rocks below, pain or the threat of it keeps us alert to physical dangers in our world. Thus, we thrive and continue. Problem-solving is another survival mechanism. You don’t last long if you can’t navigate your environment, and that requires the ability to learn. 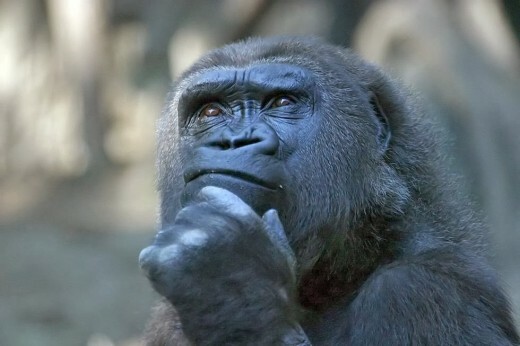 Animals, researchers are discovering, possess plenty of smarts. Elephants recently blew away the scientific world when they demonstrated a level of self-awareness generally thought to be beyond the capability of non-human animals. The experiment that revealed this involved two items: a mat and a stick. 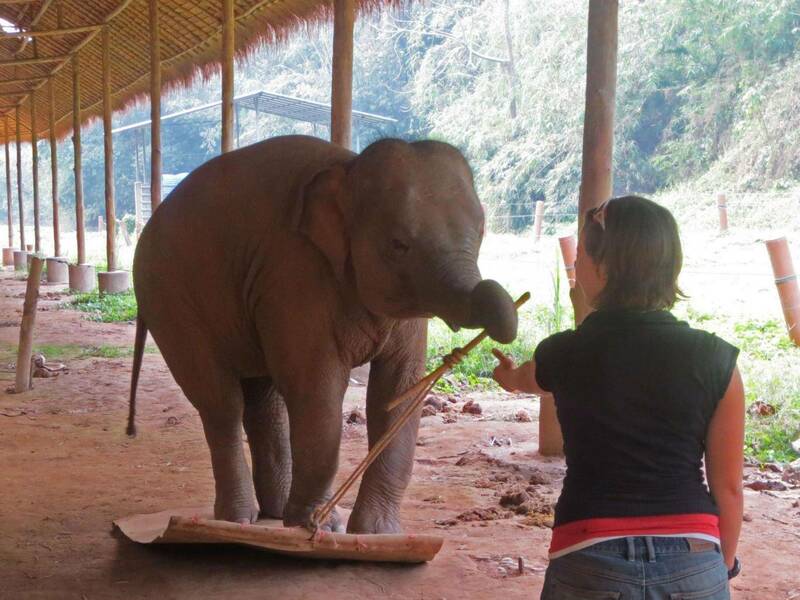 While standing on the mat, the elephants had to pick up the stick and hand it to a researcher. A simple task. But what would happen when the stick was tied to the mat? What did happen was that most of the elephants quickly realized they were what was making the task impossible—that the stick tied to the mat could not be picked up and passed to the researcher as long as they were standing on the mat. So, the elephants stepped off the mat and solved their problem. Okay, everyone knows elephants have a reputation for being pretty savvy, but what about cows (an animal, by the way, with which we share 80% of our genes)? 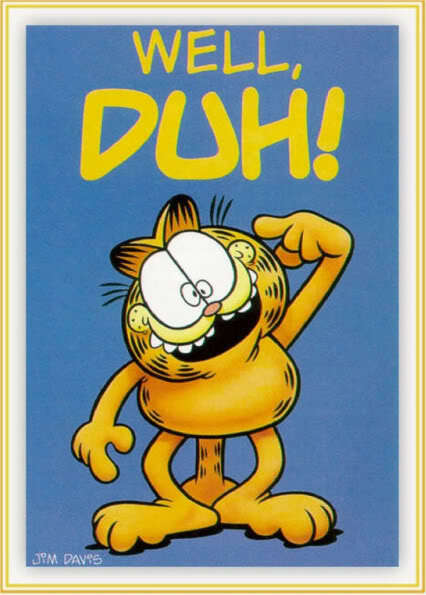 When did you last hear someone say, “He has the memory of a cow”? Well, a 2004 Cambridge University research team demonstrated just how smart cows can be when it comes to solving problems in their environment—and the pleasure they get from doing so. The research team placed cows on one side of a gate. On the other side was a food reward. The cows had to figure out how to operate the gate in order to get the food. During the process of solving the problem, the cows’ heart rates rose. They also showed behavioral signs of excitement—jumping and kicking—when they figured out how to press their nose to a panel that would release the gate. Cows given access to the same food reward minus the tricky gate demonstrated none of these behaviors. The cows literally got a kick, scientists say, from solving the problem on their own. A number of studies show octopi—yes, octopi—to be extremely perceptive when it comes to solving the problem of how to elude predators. Mimic octopi shapeshift to appear as other animals—ones their predator of the moment doesn’t devour. 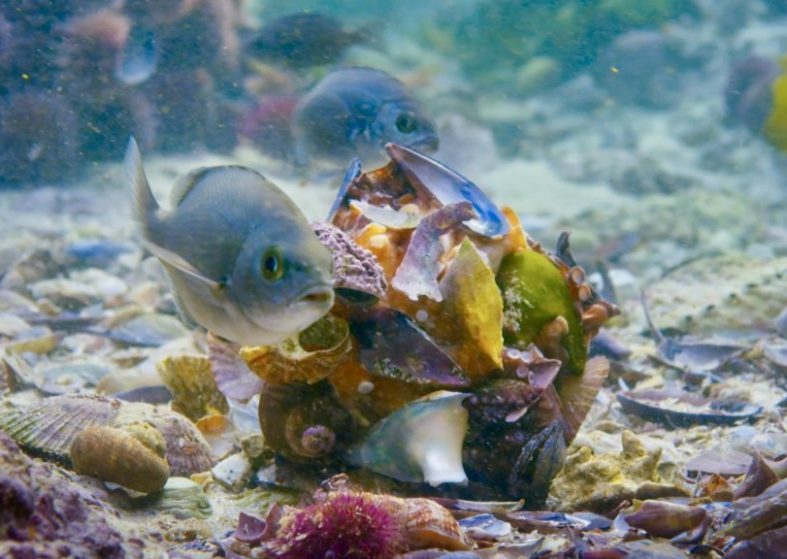 Others pick up shells, rocks, and whatever ocean flotsam is at hand to disguise themselves. The cool thing is they can analyze both their environment and their predator to form a specific plan for slipping under the radar. 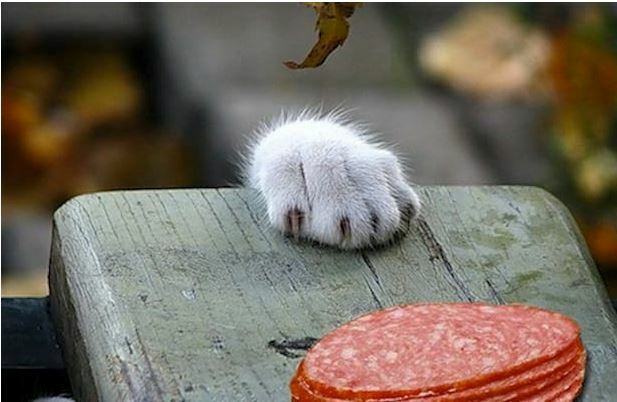 Proof of intelligence and problem-solving among non-human animals can be spotted everywhere animals are. My cats Tibby and Coosh are brilliant about butter wrappers. A stick of butter is never opened in our house that they are not aware of and onsite within five seconds, begging for the wrapper to lick. Tibby figured out almost immediately that he needed to place one paw on the wrapper to prevent it sliding across the floor as he licked it. Coosh was frustrated at first with the slippery wrapper, but after watching his brother a few times, he also adopted the paw method of holding down the goods. They are smart, too, about deception in the pursuit of forbidden pleasures. The two of them can make a powerful racket, thumping down the stairs, but let there be an unattended pie cooling on the stovetop or an English muffin sitting in the toaster, and they move like stealth missiles, leaving nothing but a pile of crumbs in their wake. Mark Twain would have enjoyed writing about them. So, why do we human animals treat non-human animals as if they were so much inorganic flotsam, at our disposal to use and abuse as we please? As I’m writing this, an email just popped up, informing me that Trump will now consider all permits for elephant trophy imports from African nations on a “case by case” basis, ending the Obama-era ban on such imports from Zimbabwe and Zambia. The U.S. Fish and Wildlife Service claims that sport hunting in these countries would “enhance the survival of the species in the wild” because the permit fees would go for preservation. Okay, let me get this straight. The U.S. is now permitting trophy hunting of elephants, a highly-endangered animal, in order to raise money to save elephants???! Why am I not buying this? Could it be because Safari Club International, big advocates of trophy hunting and good buddies with Interior Secretary Ryan Zinke, sued to block Obama’s 2014 ban—with support from the National Rifle Association (surprise! )—and I don’t believe they have elephants’ best interests at heart? But trophy hunters are just one threat animals face. Poachers are another. From the coveted ivory tusks of elephants to the skins, bones, and teeth of tigers, poachers are hunting animals into extinction. Rhino horns fetch up to $65,000 per kilo, a price that tops gold, diamonds, and cocaine for the same weight. And the population of hawksbill sea turtles, whose yellow-and-brown shell is used to make tortoiseshell jewelry, glasses, and ornaments, has dropped by more than 90% in the past century, bringing them to the brink of extinction. One way and another, animals have gotten the short end of the stick for as long as they’ve been profitable to humans. When buffalo hide became a cheap alternative to leather after the Civil War, the buffalo population dropped from 30-plus million in 1850 to less than 400 by 1893. 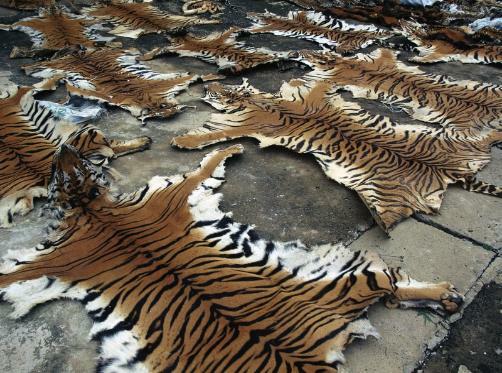 Sometimes, as in the case of poachers, profitability involves a direct assault on animals. The factory farms, on which 99% of U.S. farm animals are raised, breed animals in cruel and abusive conditions before they’re shipped to gigantic slaughterhouses where they’re often ripped apart while still breathing. Time is money! Rabbits are skinned alive for the fur trade, and geese have their feathers and the undercoating of their skin ripped off in a process known as “live plucking” for down comforters and pillows. 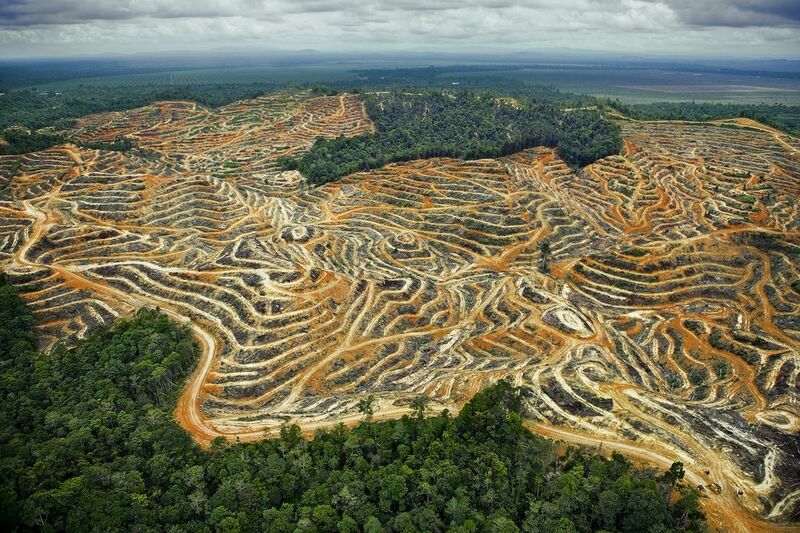 Forest habitat cleared for palm oil. Sometimes, animals are simply the indirect victims of profitability. Palm oil, for example. Easy to grow and cheap to produce, the production of palm oil has laid waste to over 22 million acres of rainforest habitat in Malaysia and Indonesia alone—an area the size of Maine, and a number projected to triple by 2025. Habitat loss is ranked by wildlife groups as the #1 threat to animals the world over. Rampant, thoughtless development is one cause. Human-driven climate change is another. 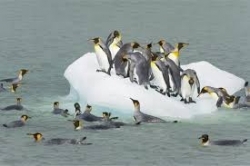 The rapid melt of sea ice is literally shrinking the habitats of polar bears, Arctic caribou, and emperor penguins. Rising temperatures in freshwater streams are rendering salmon more vulnerable to predators and disease, while the increasingly severe storms climate change brings wash away their eggs and destroy their spawning habitat. How Should We Deal with Nature? A human being is an animal, a part of nature. But we single ourselves out from the rest of nature. We classify other animals and living beings as nature, as if we ourselves are not part of it. Then we pose the question, “How should I deal with Nature?” We should deal with nature the way we deal with ourselves. . . ! Harming nature is harming ourselves, and vice versa. Convenient, isn’t it, that something written by humans for humans gives humans all the power. But if one believes that humans were given dominion over non human animals by a deity, why is that dominion so widely understood as a license to abuse and torture rather than a mandate to nurture and protect? Last year, I read a story about a village in India whose people were relocated due to industrial development. The problem was, they were resettled right in the middle of an ancient migration path used by elephants. 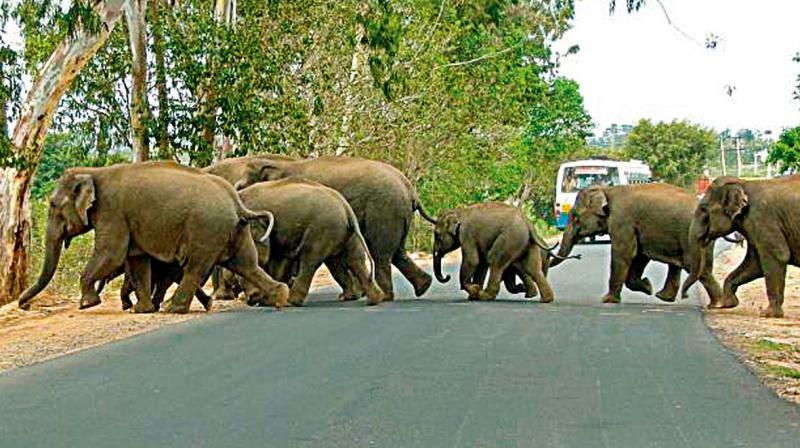 When the elephants encountered this new roadblock, they rampaged and several people were trampled to death. As it turns out, this was not an isolated event. Sometimes people take the brunt of these confrontations. Sometimes elephants are the victims. In actuality, both groups are casualties of rapid agricultural and industrial development that has failed to take heed of those it affects. India is home to a large portion Asia’s wild elephants (about 27,000 in 2017). The herds migrate with the seasons from one forest habitat to another. Between forests, they travel through, and are sustained by, linear patches of vegetation called “corridors.” As development gobbles up forest habitat, elephants must travel further to get from one forest to the next. The corridors grow longer. Increasingly, they find them blocked by human settlements. Desperate, elephants often raid the local crops and stores. It rarely ends well. A group, the Wildlife Trust of India, has launched Right of Passage: The National Elephant Corridors Project. WTI is working to legally secure and protect these corridors through a combination of land purchase, voluntary relocation, community participation, and mediation between authorities and the affected villages. WTI also provides jobs for these villagers by engaging them in habitat restoration. It’s slow, people-intensive work, but of India’s 101 elephant corridors, a dozen have been secured or are in the process of being so. As I watch my cat Tibby trying to work the catch on his Pet Taxi at the vets, desperate to open the door and return to safety, return to home, I’m touched by both the intelligence and emotion his efforts demonstrate. Of course, he can’t work the latch. It’s been engineered by humans for operation only by those of us with an opposable thumb. But that he understands what needs to happen even if he can’t make it work is deeply moving. This is not anthropomorphizing animals, any more than dressing to disguise ourselves at Halloween is octopi-morphizing. Animals have feelings. They possess intelligence. 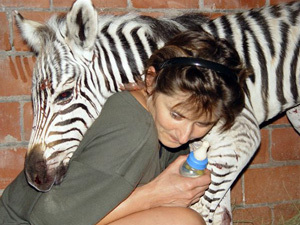 Ultimately, how we treat animals says much more about us than it does about them. We need to consider how we will share and protect this planet and each other. If today, it’s the polar bears and the elephants and the sea turtles who are at risk, tomorrow it will be us, the human animals.